Attractive residential development: Ivory Properties Group Bhd provides premium luxury homes to enhance the lifestyle living in Penang. Penang is seeing a boom in its property industry as new property developments are mushrooming across the Northern Malaysia. 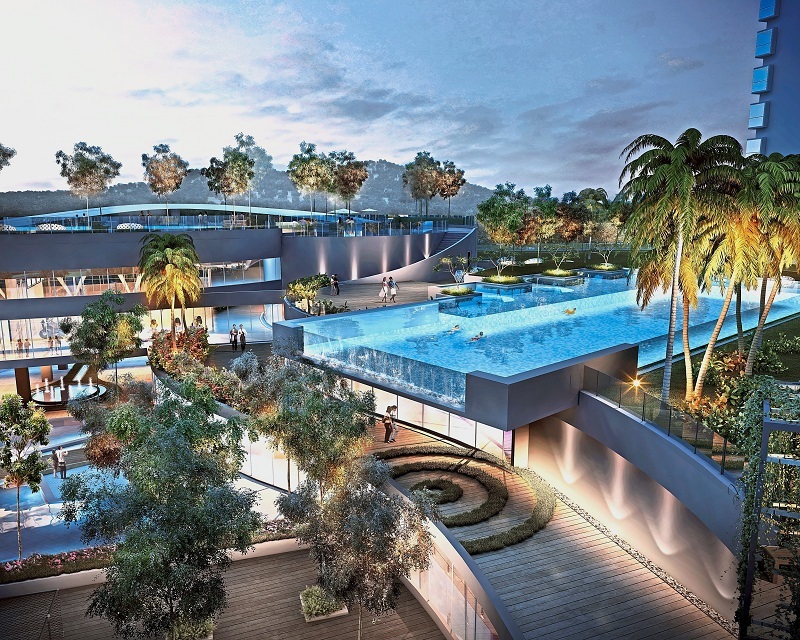 Contributing to the fast-growing property market in Penang is Ivory Properties Group Bhd, a renowned public listed property developer that has undertaken and completed a multitude of prestigious development projects in the region. For over more than a decade, Ivory Properties has proven its capabilities in building a wide range of projects, as well as reviving abandoned and hard-to-execute projects, which include high quality landed houses, high-rise residential and commercial components. With an outstanding list of completed projects, Ivory Properties is thriving with its two impressive on-going projects, namely Tropicana Bay Residences in Bayan Mutiara and City Residence in Tanjung Tokong. 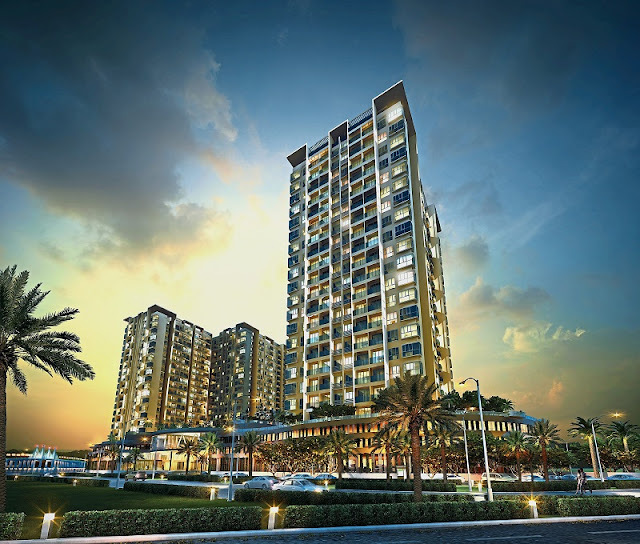 Tropicana Bay Residences is jointly developed by Ivory Properties and Tropicana Corp Bhd. With a gross development value (GDV) of RM937.1mil, the premium residence is one of the residential components within Penang WorldCity, a waterfront development that poised to become an international gateway for foreign tourists and investors to Penang. As part of a development that promotes Green City initiative, Tropicana Bay Residences provides a sustainable residential enclave that incorporates environmental-friendly elements whilst embracing the waterfront living. It is located atop a terraced slope surrounded by lush greenery and serene environment to provide residents with peace of mind. There are a total of 1,343 condominium units at Tropicana Bay Residences with seven different layouts and built-up areas ranging from 400 sq ft to 980 sq ft. Each home features modern architecture and simplicity in design, perfect for young individuals and couples that are searching for convenience of modern living. Situated strategically in the gateway of Penang Island, right off the Penang Bridge, there are plenty of amenities within the vicinity of Tropicana Bay Residences. The amenities include several clinics, Queensbay Mall, Summerton, and the University Sains Malaysia (USM). The exquisite project is slated for completion in 2017, and was highly commended at the South East Asia Property Awards Malaysia 2015 for the Best Luxury Condo Development. The other current development by Ivory Properties, City Residence, is estimated to be completed in Q1 2017, and has a GDV of RM327mil. Designed to offer a balance living between work, home and play, the luxury condominium sits on top of three-storey commercial and retail establishments. The commercial area provides convenient shopping facilities for residents to enjoy right outside of their doorstep. There are 202 residential units spread across two towers with three different layouts and built-up areas ranging between 1,250 sq ft and 7,882 sq ft. All units at City Residence boast open and innovative designs to offer flexible home space, while ensuring adequate natural lighting and good ventilation conditions. Furthermore, City Residence offers a low-density living with only three to five units per floor, giving dwellers more private and peaceful environment to enjoy. Standing tall at 39-storey, dwellers can also cherish amazing panoramic skyline and sea view from their comfortable homes. In addition to the readily available amenities, City Residence is also conveniently close to many other amenities, such as clinics, a fire station, Straits Quay, Tesco Tanjung Tokong, Gurney Plaza, Gurney Paragon Mall and future Gurney Wharf, Tunku Abdul Rahman University College (TARUC), Penang Chinese Girls’ High School and Convent Pulau Tikus. Both Tropicana Bay Residences and City Residence are located in prime locations that are well connected to abundant of amenities, as well as to the other major areas in Penang. “Apart from the prominent locations, both Tropicana Bay Residences and City Residence offer smaller sized units, ranging from approximately 500 sq ft to 800 sq ft, which are quite attractive, especially to young professionals and small families.